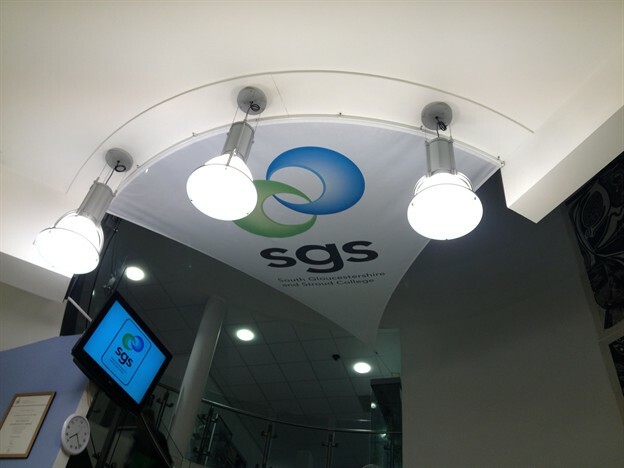 We were approached by South Gloucestershire and Stroud College with a problem that they needed help solving: the receptionist in the reception area of their campus was exposed to the potential risk of falling objects from above. 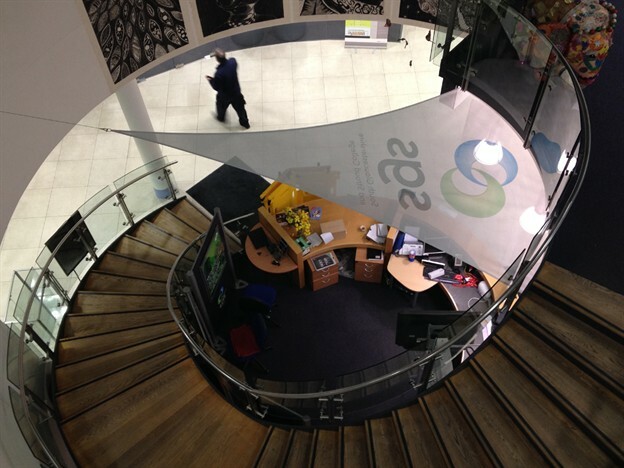 The reception desk is situated at the bottom of a spiral staircase in an open plan area. 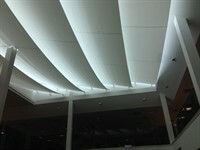 Whilst minimising this risk, they also wanted to retain the open plan feel of the area. 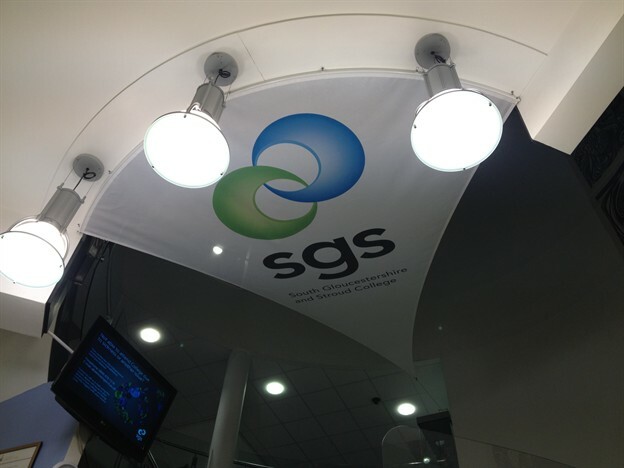 We came up with a solution for the college using a light mesh fabric to create a sail structure with their logo printed on it, which also helps to reinforce the branding and signage of the school, and creates a striking feature in the reception area.